This plant forms dense colonies along shorelines, then grows out into the water, where it clogs waterways, damages structures, and out-competes native vegetation. 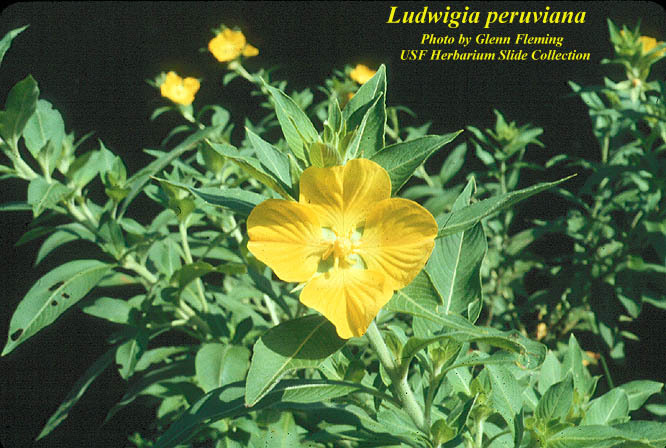 Listed as a Category I invasive species by the Florida Exotic Pest Plant Council. 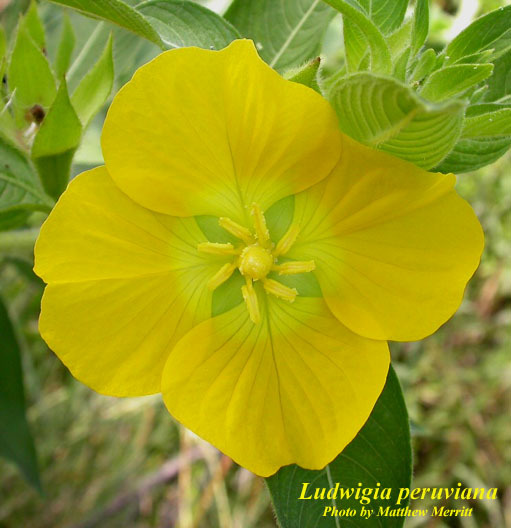 A shrubby weed with showy yellow flowers that grows in or near water. Stems are erect. Leaves are alternate, lanceolate to broadly ovate, and pointed, 2-6 in long, 0.5-1.25 in wide; with fuzzy tan hairs. 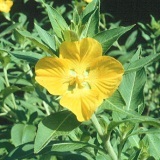 Flowers are bright yellow with 4 wide, oval, veined petals. Fruit is a 4-angled capsule. Look for bright yellow flowers with willow-like, hairy leaves, with a sprawling growth pattern. Introduced as an ornamental plant and became naturalized in many southeastern states, including Florida. Found throught the state of Florida; mainly central and southern. 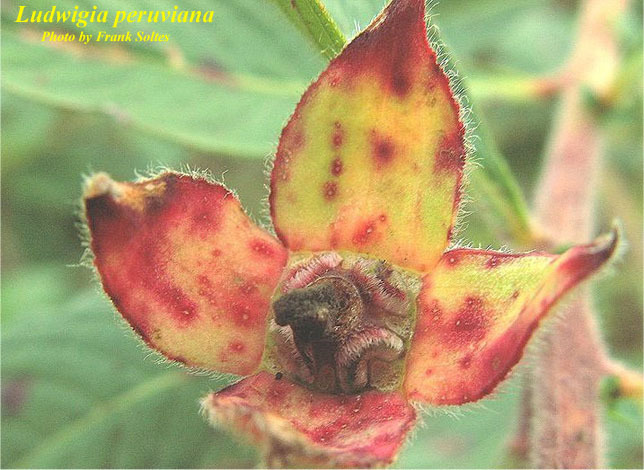 Most photos courtesy of the Atlas of Florida Plants; click for additional plant details.